Lopressor SR (TOPROL XL) is a beta blocker used to treat high blood pressure and angina pectoris (chest pain). Lopressor SR (TOPROL XL) is also used after a heart attack. Lopressor SR (TOPROL XL) may also be used to treat other conditions as determined by your doctor. Follow the directions for using Lopressor SR (TOPROL XL) provided by your doctor. SWALLOW Lopressor SR (TOPROL XL) WHOLE. Do not crush or chew Lopressor SR (TOPROL XL) before swallowing. 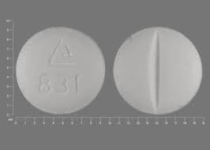 It is not recommended to cut Lopressor SR (TOPROL XL) tablet (i.e Lopressor SR (TOPROL XL) is not scored - Lopressor SR (TOPROL XL) IS RECOMMENDED TO TAKE WHOLE. TAKE Lopressor SR (TOPROL XL) with food or milk.